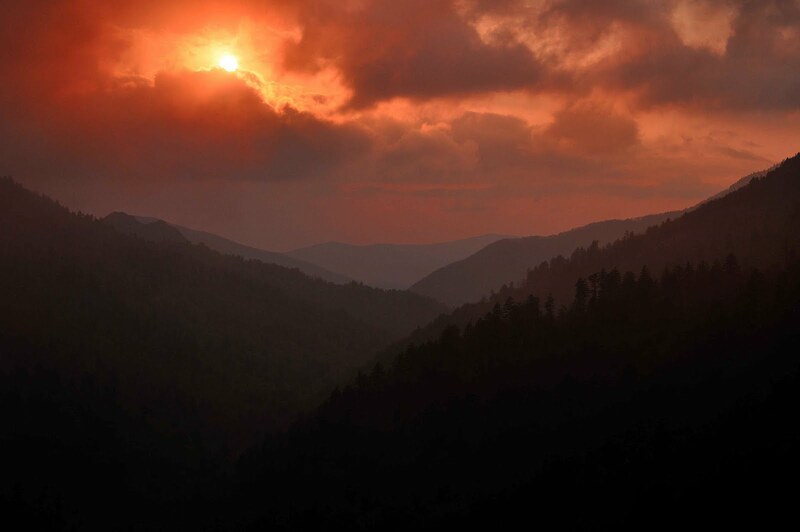 You can't go to the Smokies without trying to get a sunset shot. But when you only have one night available to shoot what do you do? You ask the volunteers at the Ranger Station where to go!!! A couple of wonderful ladies suggested this spot. I am so thankful that they did. When I had scouted this location in the afternoon you could not see more than 30 feet off of this overlook. So we headed to Pigeon Forge for dinner and I dropped off my folks and Linda. It was a magical experience. Clouds coming in from left to right...or from south to north...it was crazy fun. This was one of those moments that was so crazy that I just kept shooting and laughing at the same time. It was if God was saying - "you think that is cool, check this out."